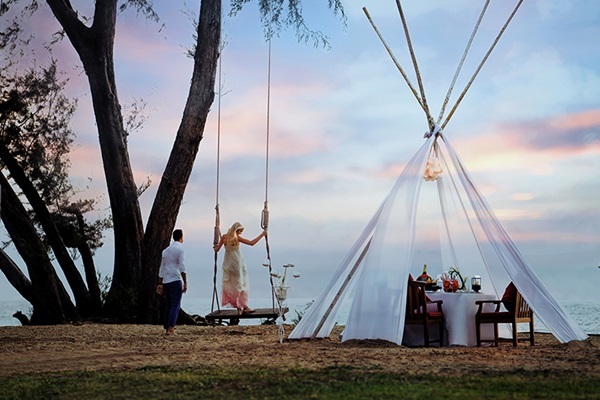 Phuket – 11 February 2019: JW Marriott Phuket Resort & Spa’s Food & Beverage team joins all the lovebirds to celebrate the Feast of Saint Valentine by offering the most romantic dinner promotions on Phuket Island. Select as your choices and dine in style with your other half on this Valentine’s Day. Romantic Dinner by The Andaman Sea : Spread the love to the other half; express your love with an exclusive dinner, set in a private cabana for two by the Andaman Sea. The fascinating menu specially created by our expert chefs for this Valentine’s night. The 6-course contemporary International set menu included White Pearl French Oyster with Australian finger lime caviar; Crab cocktail – Poached blue swimmer crab, mud crab & Alaskan king crab with Mary rose foam; Pan-seared Foie gras – Sticky date pudding, raisin jus; Chilled Spanish Salmorejo – Soft quail egg, Iberico ham & baby peas; Surf n’ Turf – Roasted USDA tenderloin & garlic butter grilled rock lobster silky potato puree & sauce Choron; Chocolate indulgent (to share) – Chocolate mousse & almond macaroons, dark chocolate tart with coco nibs, 72% dark chocolate sorbet, white chocolate cheese cake & coffee gel. Dinner commences from 5 – 10 pm. Price is THB 9,988++ per couple. Add on, the beverage pairing price is THB 1,799++ per person. This promotion is the first-come-first-serve basis, with just limited 10 cabanas; it is the intimate dining experience that definitely will impress your loved one. Lovers’ Set Dinner: Let the breath-taking sunset view of Andaman Sea be the backdrop to your lavish 6-course set dinner at Andaman Grill. Price is THB 6,499++ per couple. Add on, the beverage pairing price is THB 1,799++ per person. Dinner commences from 6 – 10 pm. Indulge In Love: Our Food & Beverage team completely understands the so-much-in-love couples by offering an intimate in-room dining experience with your own private chef and butler. The 5-course contemporary International set menu, sampling dishes included Poached Canadian lobster & avocado Tian – Spiced gazpacho and melon tartar; Foie gras parfait served in a glass jar with crispy walnut bread; Surf n’ Turf – roasted USDA tenderloin & garlic butter grilled rock lobster silky potato puree & sauce Choron and just to name a few. 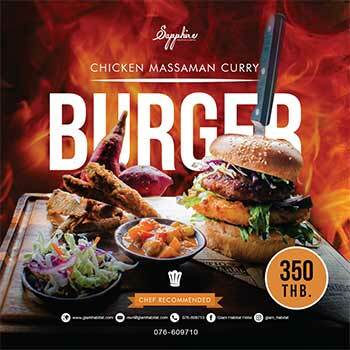 Price is THB 6,988++ per couple, food with two glasses of selected beverage. Dinner commences from 5 – 10 pm. Barn Café By Vanich Farm !!! October 8, 2018 Admin Comments Off on Barn Café By Vanich Farm !! !